A Pan Asian Street Food eatery in Edinburgh, offering relaxed dining with the option to sit-in or take-away. Artisan coffee shop. Also stock and sell the full range of equipment such as specialist grinders, espresso machines, brew kit and accessories. 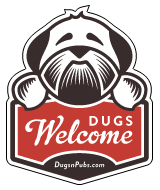 There are a total of 9 dog friendly listings in the Marchmont category. Please log in, or sign up as a member to view all listings.